There are rumors flying around about the camera of the next generation iPhone 5 but we have some confirmed reports from very reliable sources that iPhone 5 will indeed have an 8 mega-pixel camera. 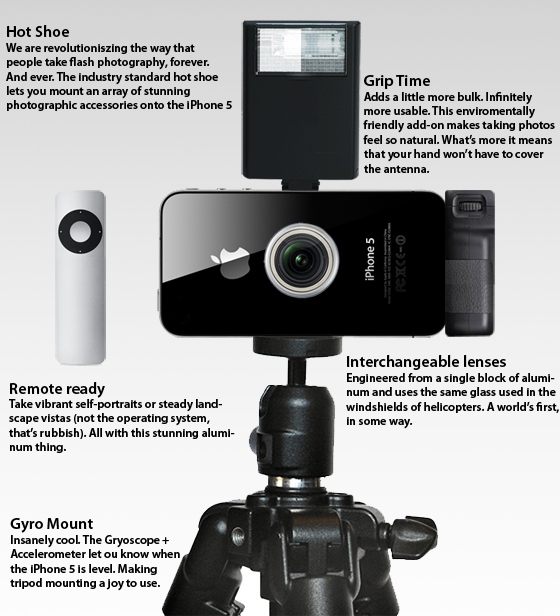 The new camera will be an upgrade from the 5 mega pixel that the iPhone 4 offers. News of this leaked as Omnivision, one of the suppliers of the camera sensors recently filled in a huge order for 8 mega pixel cameras for Apple. Apple will be sporting the new iPhone 5 with all kinds of features including NFC (Near Field Communication) which allows you to use your phone as a credit card. Increasing the camera quality will only add on to its value. The OmniVision 8 mega pixel sensor is a 1/3.2” sized sensor which will allow Apple to have better screen quality due to smaller pixel sizes. Will we be seeing 3D cameras? Most likely says our source, Apple is well aware of how 3D is picking up slowly and will not wait until its too late. Next Steve Jobs has 6 Weeks to Live?